We are proud of our international variety of restaurants. We have chefs from all around the world working hard to provide mouth-watering and attractive dishes to make your Roatan visit memorable. Most serve ice-cold delicious Honduran beer and assorted juices and "frescos" (soft drinks); many have "full bars". Check out our Roatan food recipes, too. World famous bar and restaurant in Oak Ridge. Serving ice cold drinks and good island style food (try B.J.s special deviled crab) on a shaded deck over the water next to her garden. Also get your fresh baked French bread here. The dock at B.J.s Backyard is the perfect place to launch your tour of Jonesvillle's Mangrove Canals. Argentinian Grill - Right next to Woody's Groceries, great steaks and seafood. Lighthouse - On the "Point", specializes in seafood island style. Splash Inn Dive Resort - In the heart of West End, comfortable Hotel, Italian Restaurant & Pizzeria, PADI 5 star Gold Palm Dive Center. Rotisseria Aleman; German style rotisserie chicken, salads, cold drinks. Bite on the Beach - West Bay's oldest restaurant serving seafood and meat dishes. Cool Beans - Gourmet coffees, teas, frozen drinks, pastries and sandwiches located at the West Bay Beach Mall. Mangiamo Delicatessen and Market - Salads, spreads deli meats, cheeses, wine, crackers and much more. Rendezvous Cafe des Arts and Sushi Grill across from Paradise Beach Club entrance. Open every day except Sunday. Reservations required. Marlyn's in Sandy Bay specializing in great island cuisine. Sunshine Cafe - Beachside Sunday BBQ and a full bar. Pisco Nazca – Peruvian Restaurant with indoor and outdoor dining & a great menu. Pizza Hut, Bojangles, and Chinese Restaurant - on the highway near the Sun Gas Station. Merry Seaman's Bar and Restaurant - great island cuisine and ice cold drinks. On the main street, just west of Thicket Mouth Road. Eat in the extremely cool inside overlooking the street or on the rear deck overlooking the sea. Portside Restaurant –Seaside Dining indoor & outdoor seating offering Continental / Italian specialties Open for lunch and dinner Monday – Saturday. Gio's Restaurant – Famous for King Crab seaside dining w/ 2nd location in Flowers Bay. Temporary Cal’s Cantina - Offering a variety of meat and seafood specialties, one of the best chefs on the island. Marble Hill Farms – Pizza and more overlooking the sea on the north shore. 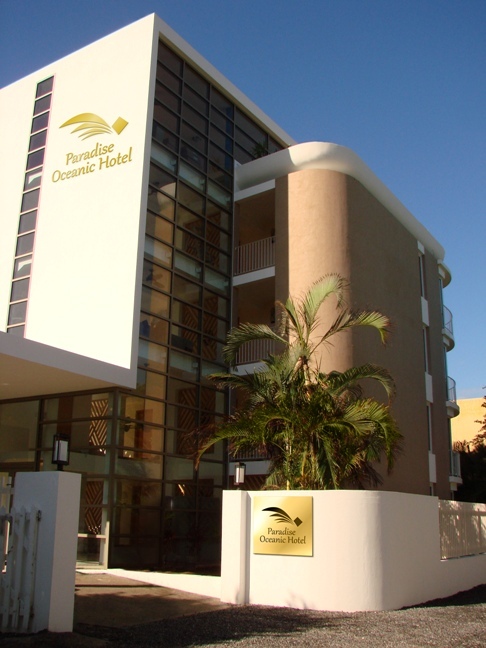 Paradise Hotels & Resorts Paradise... the Perfect name for this resort" (Trip Advisor: 2011). The Hidden Jewel of the Caribbean.